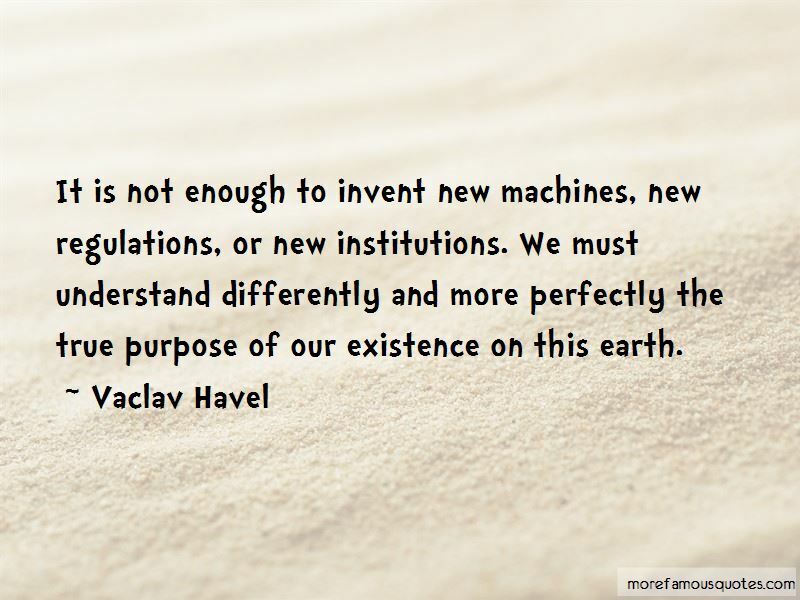 Enjoy the top 119 famous quotes, sayings and quotations by Vaclav Havel. is simply a matter of serving those around us: serving the community and serving those who will come after us. Its deepest roots are moral because it is a responsibility expressed through action, to and for the whole. Someone who does not draw strength from himself and who is incapable of finding the meaning of his life within himself will ... seek the map to his own orientation somewhere outside himself-in some ideology, organization, or society, and then, however active he may appear to be, he is merely waiting, depending. He waits to see what others will do, or what roles they will assign to him, and he depends on them-and if they don't do anything or if they botch things, he succumbs to disillusion, despair, and ultimately, resignation. The award is destined for scientists who do not fear to touch on some of the darkest aspects of being without betraying what they have achieved. On the contrary, they head in this direction. Man is in fact nailed down - like Christ on the Cross - to a grid of paradoxes ... he balances between the torment of not knowing his mission and the joy of carrying it out, between nothingness and meaningfulness. And like Christ, he is in fact victorious by virtue of his defeats. If one were required to increase the dramatic seriousness of his face in relation to the seriousness of the problems he had to confront, he would quickly petrify and become his own statue. 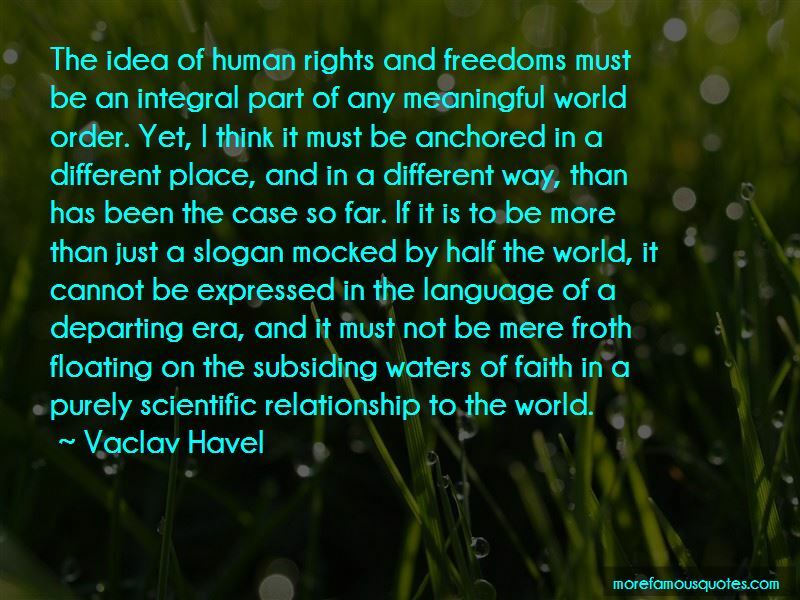 The only salvation of the world today ... is the rapid dissemination of the basic values of the West, that is, the ideas of democracy, human rights, the civil society, and the free market. 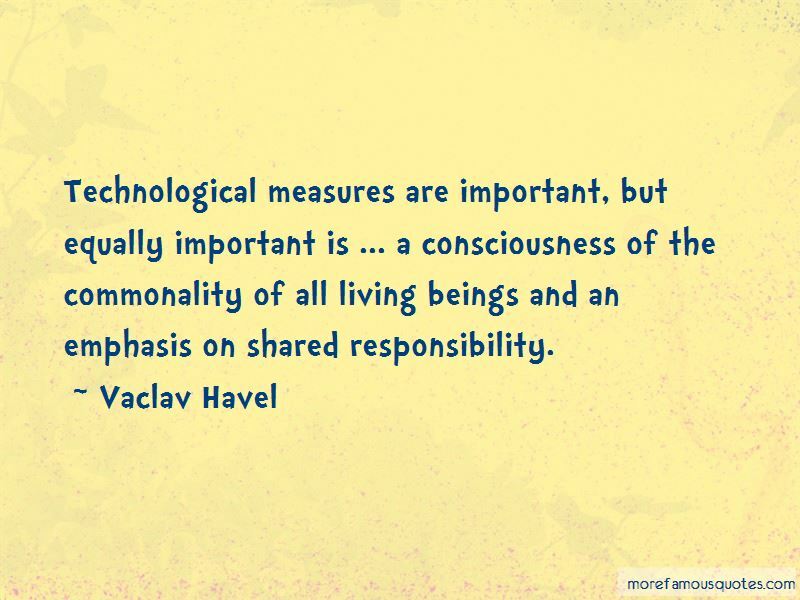 Want to see more pictures of Vaclav Havel quotes? 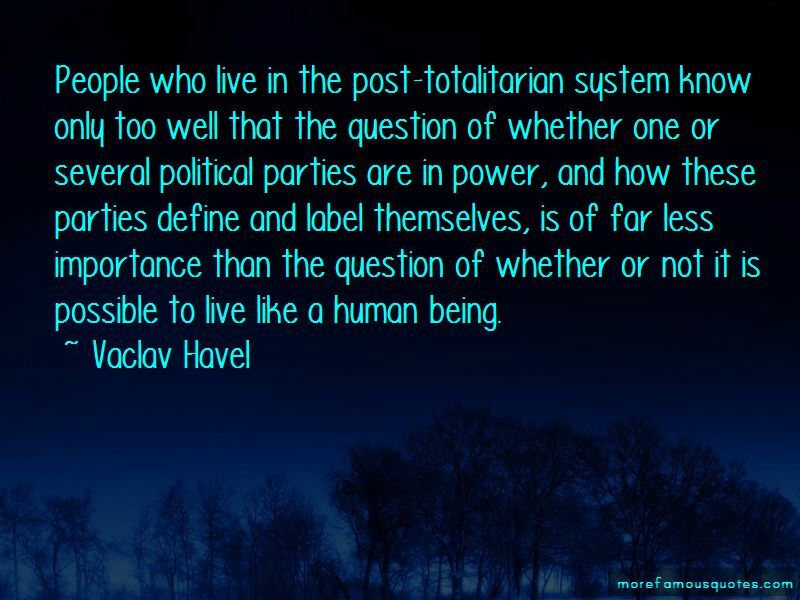 Click on image of Vaclav Havel quotes to view full size.